Acai berry palm – What are the requirements for growing Acai berry palm? 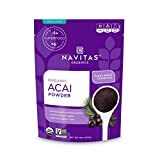 Which uses for Acai berry palm? Acai berry palm requirements are tropic climate, high humidity, moist and acid soil, big amount of water and full to half sun. The fruit eat raw, juice or cooked, seeds for ornamental or medical, the heart of the palm can be edible.